I am a huge fan of Scanner Pro, which I use to capture documents while I am working in archives. 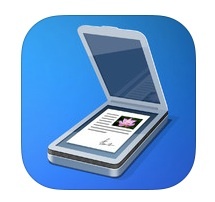 Scanner Pro is an application from Readdle and is available for the iOS platform. It works on my iPhone, but I mainly use it on my iPad Mini. The app uses the device’s built-in camera to scan documents ranging in size from receipts to newspaper pages. Documents can be scanned individually or in batches. After taking the initial image, Scanner Pro suggests image borders, which the user can adjust. Next, the user can define the image size (A4, Letter, Legal, Tabloid and more) and type (color photo, black and white text, or grayscale). Images are saved on the device and can be uploaded as JPGs or PDFs to Dropbox, Evernote, emailed, or printed. 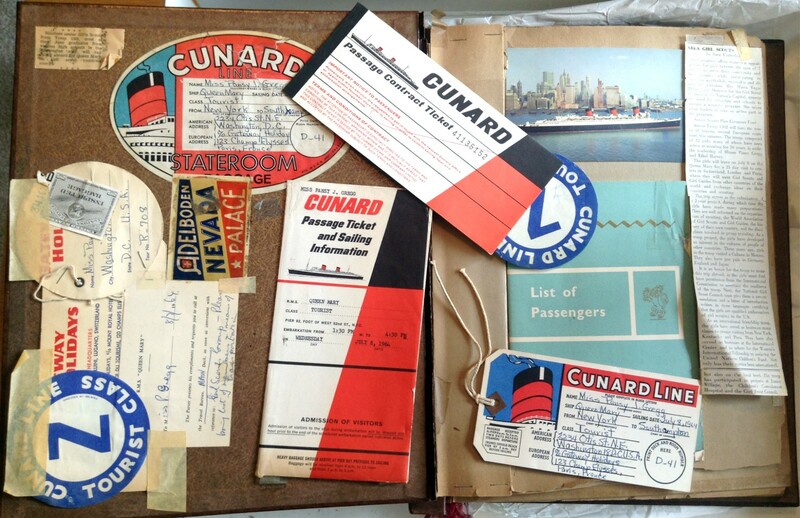 Scanner Pro is also ideal for documenting the bulky scrapbooks in our council collection. 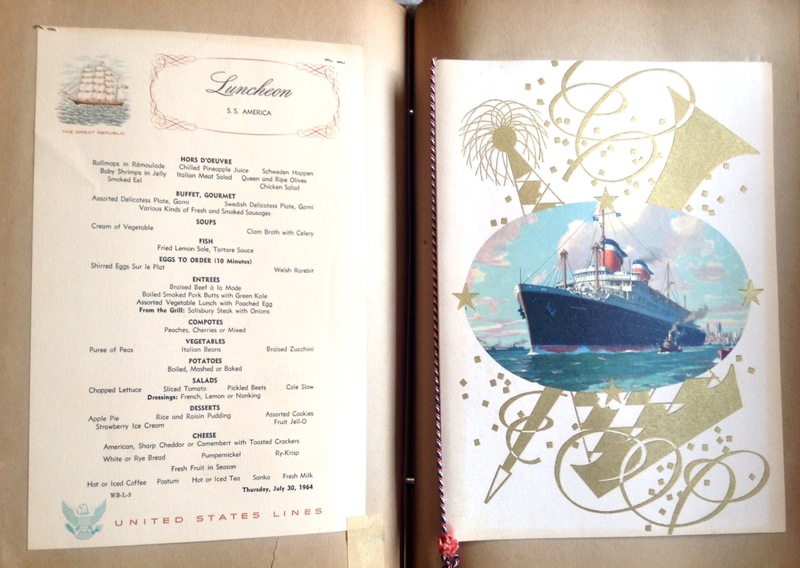 For example, we have a delightful scrapbook assembled by Mrs. Pansy Gregg when her Senior Girl Scout troop toured Europe in 1964. 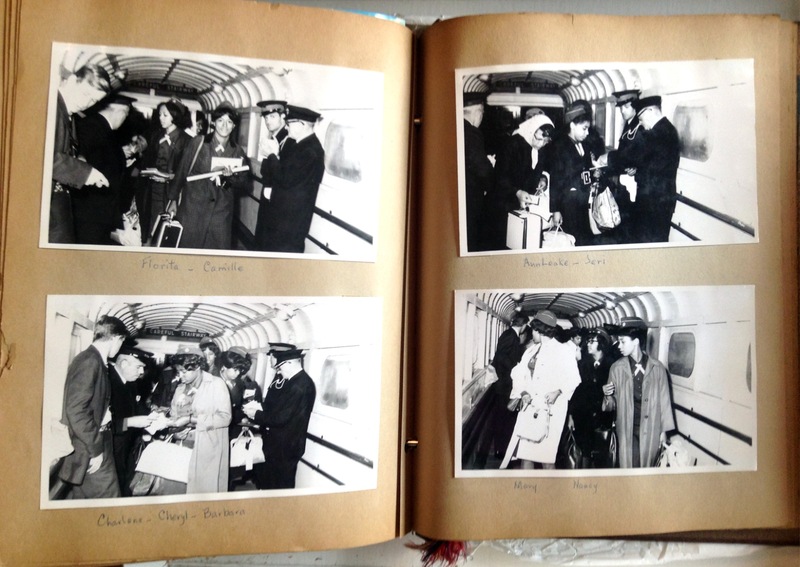 She preserved photos and dozens of souvenirs, especially of daily life aboard the H.M.S. Queen Mary, the ocean liner that carried the troop across the Atlantic. The app makes it easy to capture the full two-page spreads in her scrapbook. The inside front cover of Pansy Gregg’s scrapbook. I enlarged this to poster-size and have it hanging in my office. Senior Troop 1027 boards the Queen Mary en route to Pax Lodge and Our Chalet. For screenshots of the app in action, see AppStorm’s review of Scanner Pro. Apple Computer named Scanner Pro one of its Amazing Productivity Apps of 2014, and slashed the price from $6.99 to $2.99. This entry was posted in Archives, Memorabilia, Scrapbooks and tagged African-American Girl Scouts, Girl Scout Council of the Nation's Capital, Girl Scout history, Girl Scout memorabilia, Girl Scouts, GSCNC, GSUSA, Our Chalet, Pansy Gregg, Pax Lodge, Scanner Pro. Bookmark the permalink.